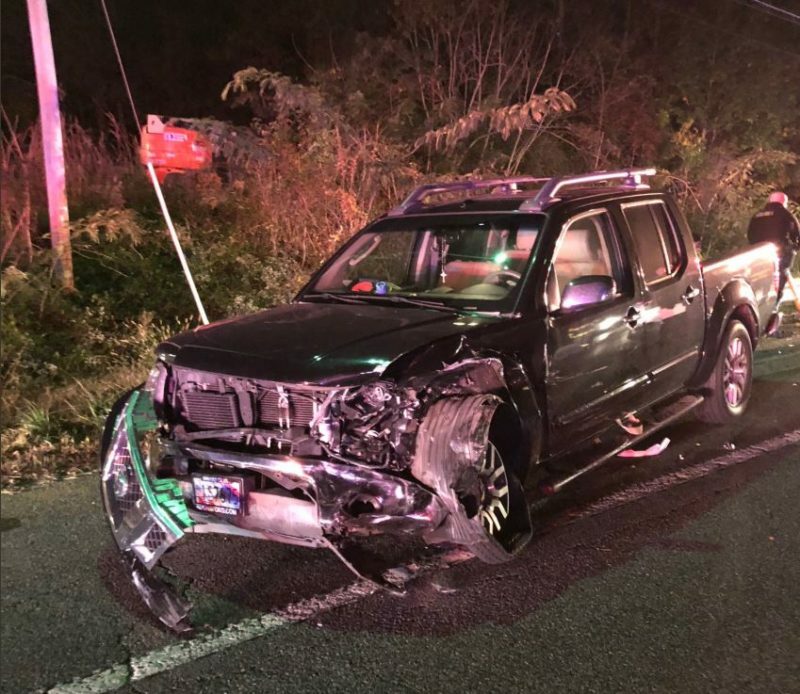 UPDATE: On October 31, 2018 at approximately 8:30 p.m. units from the Calvert County Sheriff’s Office were dispatched to the area of Route 4 and the Prince Frederick Rescue Squad, Prince Frederick, Maryland for a report of an accident with injuries. Prior to the arrival of the deputies, one of the drivers advised the Calvert Control Center that one of the patients might be on a controlled dangerous substance and was attempting to fight with bystanders. Once deputies arrived on the scene they observed a male, later identified as the at fault driver, Steven Curtis Marlowe, 31, rolling around on the ground yelling uncontrollably. Marlowe had to be detained during the investigation of the accident. It was learned during the investigation that a white Nissan Sedan driven by Marlow was traveling North in the southbound lanes when a head-on collision occurred with a dark Nissan truck driven by Hector Aleman, 55, of Port Republic. It was also learned that just prior to this accident Mr. Marlowe forced another vehicle driven by Bradley Krolczyk, 45, of Prince Frederick, off of the roadway. Mr. Aleman and a Passenger identified as Maria Elena Arias, 68, of Port Republic, were both transported to Calvert Health Medical Center via ambulance for treatment for minor injuries. A passenger in the vehicle with Mr. Marlow, Christopher DeSousa, 24, of Chesapeake Beach, was arrested for possession of PCP and transported to the Calvert County Detention Center. A second passenger in the vehicle, Anthony Wimer, 27, of North Beach, is also pending charges for possession of PCP in this case. Mr. Marlow was also charged with the possession of PCP, and DUI charges are pending blood results. Mr. Marlowe was transported to Prince Georges Hospital Center via Trooper 7 with unknown injuries. This accident is still under investigation. Anyone with any information is asked to contact Dep. Sampson at 410-535-2800 or Bruce.Sampson@calvertcountymd.gov. Updates will be provided when new charges are filed, or when they become available. 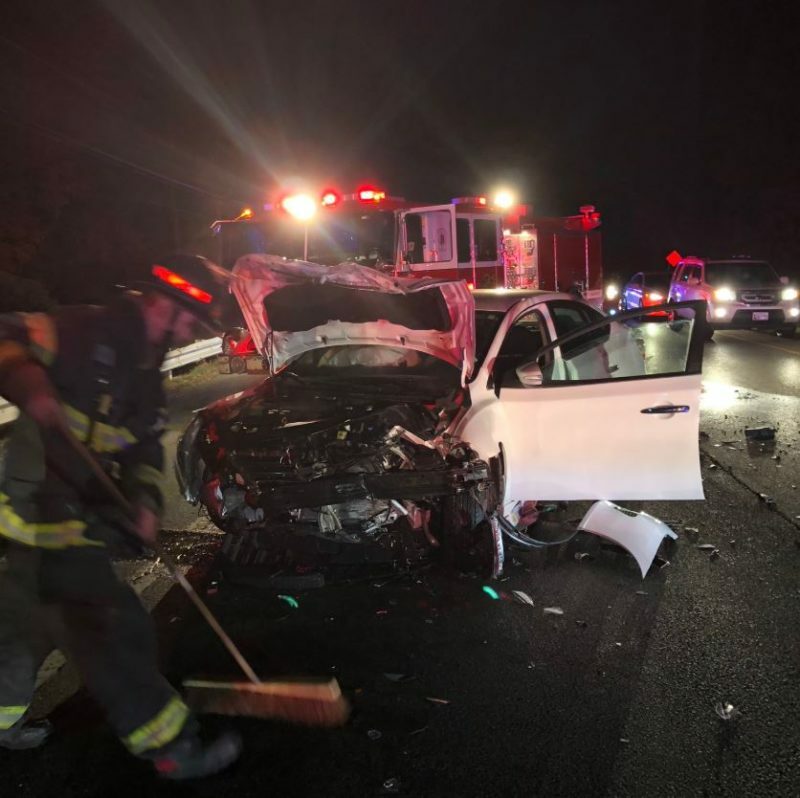 11/1/2018: On October 31, 2018, at approximately 8:30 p.m., police fire and rescue personnel responded to the area of Solomons Island Road, and Westlake Boulevard in Prince Frederick, for the reported serious motor vehicle accident with entrapment. Crews arrived on scene to find two vehicles in a head-on style collision with no patients trapped. One patient was flown to an area trauma center and the other was transported to a area hospital with minor injuries. Police are currently investigating the crash, and updates will be provided when they become available. This entry was posted on November 5, 2018 at 11:10 am and is filed under All News, Calvert News, County, Fire & Rescue, Law Enforcement, More News, z 600X120 Top Ad Bottom, z 600X120 Top Ad Top. You can follow any responses to this entry through the RSS 2.0 feed. Some, after they witness an auto accident, get the hell scared out of them and start riding public transportation, which is not something that needs to be corrected. Based on my observations, pedestrians are prepared for drivers, they expect drivers, but its not the other way around. Drivers don’t expect pedestrians. In Charles, Calvert, StM and PG, pedestrians should be expected. There are wrong and unmet expectations. Expect pedestrians. Your license and expectations, please, I mean, your license & registration, please. Are you, by any chance, a pedestrian?